In order to enhance the security features on Indian Railway Catering and Tourism Corporation (IRCTC) e-ticketing website, railways migrating the website to TLS 1.2. This is not supported by Windows XP and Windows Server 2003 operating system. People with Windows XP on their laptops, computers etc. will not be able to access that IRCTC website after migration. features on IRCTC e-ticketing website www.irctc.co.in, it is being migrated to TLS 1.2. TLS 1.2 is not supported in older versions of operating systems like Windows XP & Windows Server 2003. 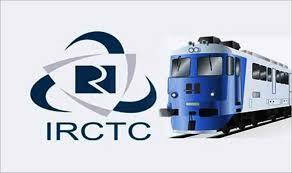 After migration IRCTC e-ticketing website will not be accessible in Windows XP and Windows server 2003. Users may upgrade their operating systems higher than Windows XP/Server 2003." IRCTC joined hands with Bharti AXA General Insurance to offer free air travel insurance of up to Rs 50 lakh to the passengers. According to the scheme, IRCTC will bear the premium for insurance to secure its passengers from any untoward incident during the journey. The IRCTC statement stated that the insurance will cover both one-way and round trip. IRCTC recently installed automatic pizza vending machine at the Mumbai Central railway station. Commuters at the station can just insert money in the machine and choose their desired pizza toppings. The pizza dough will be freshly made in the machine and the pizza will be baked within a few minutes. Commuters will be able to enjoy fresh and hot pizzas at the station.